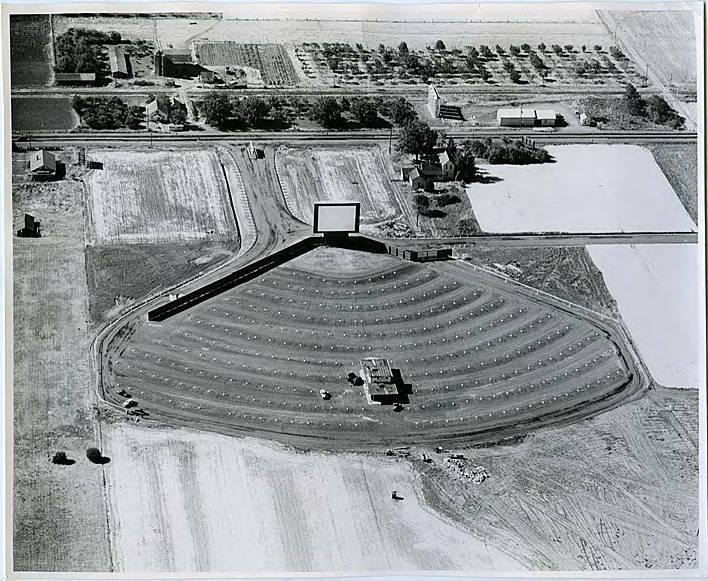 Black and white aerial view of a drive-in movie theater. According to museum records, this is most likely the Car-Vue theater, which was built in 1950 and planned in 1949 by Orange Phelps. The Cornelius Fred Meyer occupies this spot now (2012).